You wanna argue with us? Or maybe you just want to watch JT and Matthes argue in person? 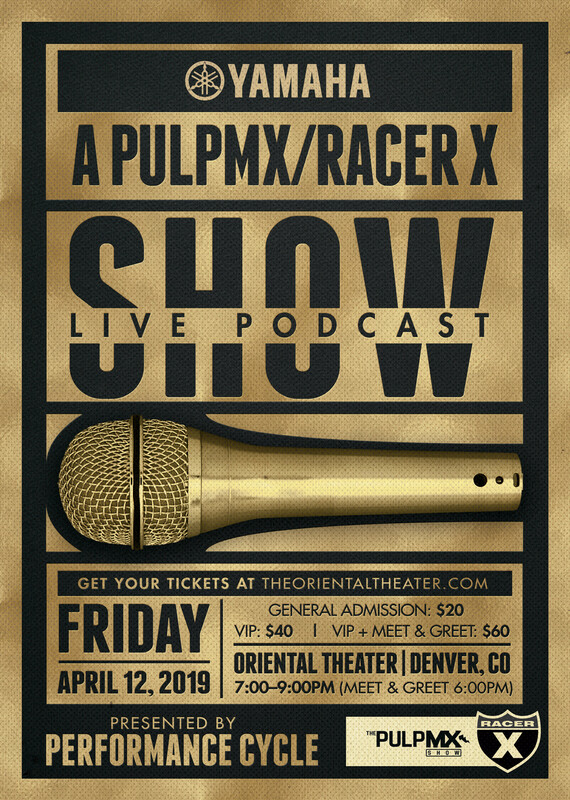 We are taking the PulpMX/Racer X Show live on Friday, April 12 (the night before Denver Supercross) in Denver, Colorado at Oriental Theater. We'll have all the usual characters assembled from both the PulpMX Show and our Racer X Race Review podcasts. You know em: Steve Matthes, Jason Weigandt, Jason Thomas, Kris Keefer, and more. We will be adding more guests, so stay tuned! We did a live show like this before Monster Energy Cup in Las Vegas and Anaheim 1, and they were super fun! So if you're in the Denver area, come bench race with us in person.